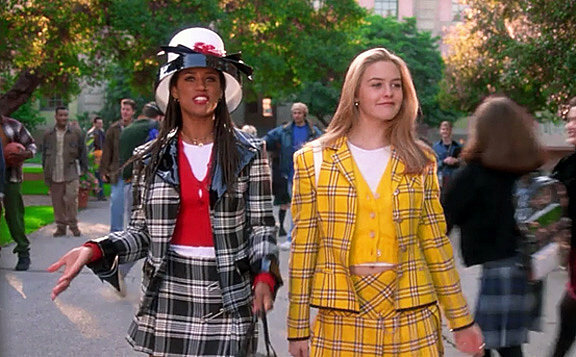 That's right, I decided to recreate the plaid pattern from Cher's fabulous yellow plaid suit from 90's classic Clueless. When in doubt, go with pop culture! That's what I need to remind myself when I get stuck I think. For reference, here's a look at the suit in question just to take us all back to the fabulous 90's. Amazing. 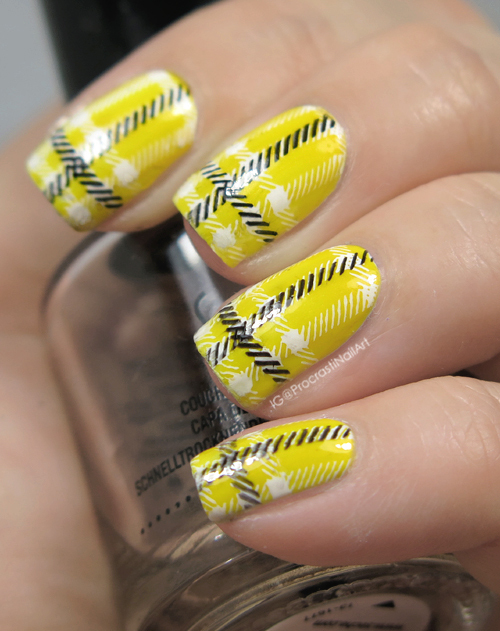 I did my plaid stamping with two different plates and polishes. For the white base stamping I used Mundo de Unas White and MoYou London Hipster 06. Then I stamped over them again with lines from MoYou London Holy Shapes 19 and Sinful Colors Black on Black. But no worries, because we'll be back with a new theme and new nails next month! :) To tide you over for a bit you can check out the rest of the links below to see today's fills from the other ladies involved, and remember you can always check my Digit-al Dozen tag to see all the fills I've ever done! Clueless is such a classic movie. I love that you used it for your mani today. Looks great! I loved the decades prompt this month! 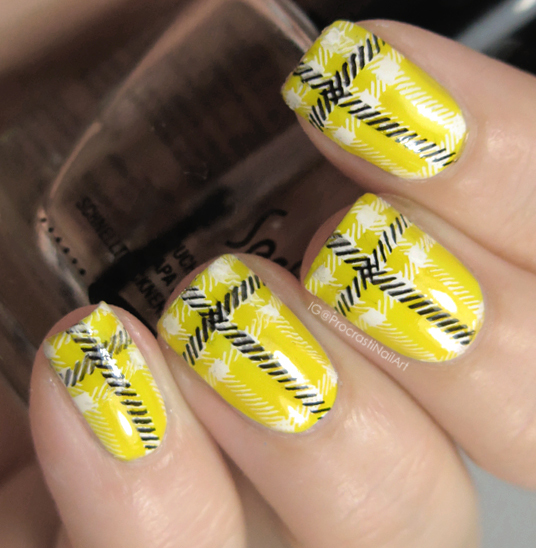 Love Clueless and this mani! This is so fun and cute! Haha Clueless is one of my all time favorite movies - I literally know every single line by heart! These turned out great! Sooo iconic! I probably could have guessed what these were! And so cute and wearable too. You and me might have been nail twins as I seen that pix for day 5 and thought about doing it too! Oh I love it! 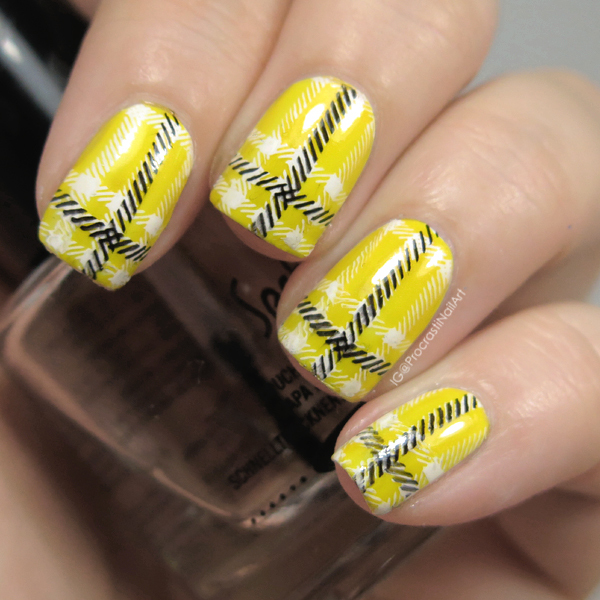 I really need to try some plaid nails! I am pretty sure I had a pair of trousers this colour and this pattern. I shouldn't really tell though! Gah, this was such a smart idea! That yellow looks great on you too! I love clueless so much! Perfect mani.